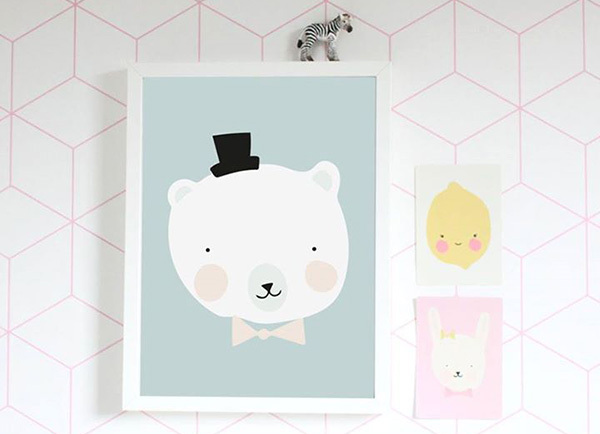 We’re spoiled for choice when decorating a nursery, with all kinds of wall art at our fingertips. 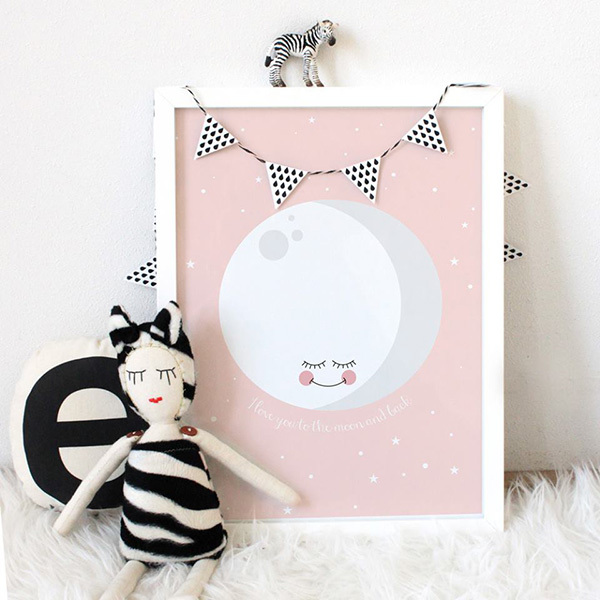 For something really special and ever so sweet, prints and postcards from Eef Lillemor will make the space for your newborn bundle complete! Eef Lillemor prints are nothing short of stunning. Perfect for small children, the Moon Print is sure to be a popular favourite. A moon with a friendly smile to look over them as they sleep, the familiar I Love You To The Moon And Back message is printed on the delicious star-speckled mint or pink background. 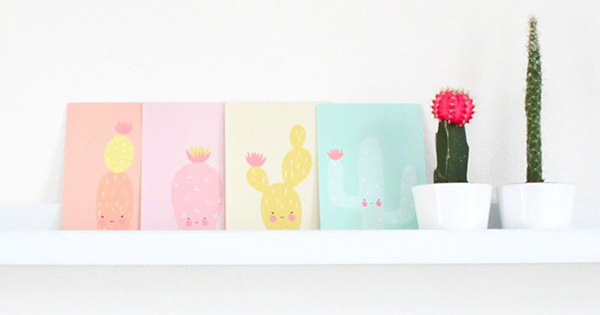 The Eef Lillemor magic doesn’t stop at prints either, artwork in sublime sorbet colours can be found in the form of postcards and wrapping paper. If pastel pops of colour aren’t your style, there is also a great selection of monochrome works. 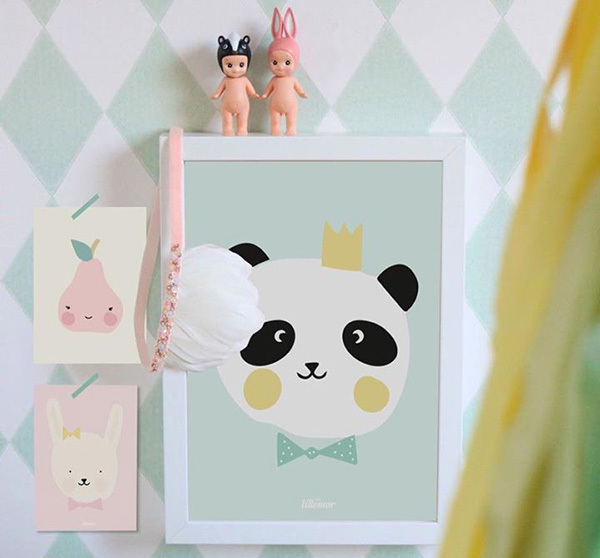 Though I love to combine the two and absolutely adore the black and white panda in the delightful King Panda print – what a handsome panda he is! The best bit, Eef Lillemor art won’t break the decorating budget. 42 x 30 centimetre prints are priced $21 and postcards just $2 each. You can find a selection of Eef Lillemor locally at Invite Me, which ships Australia wide.